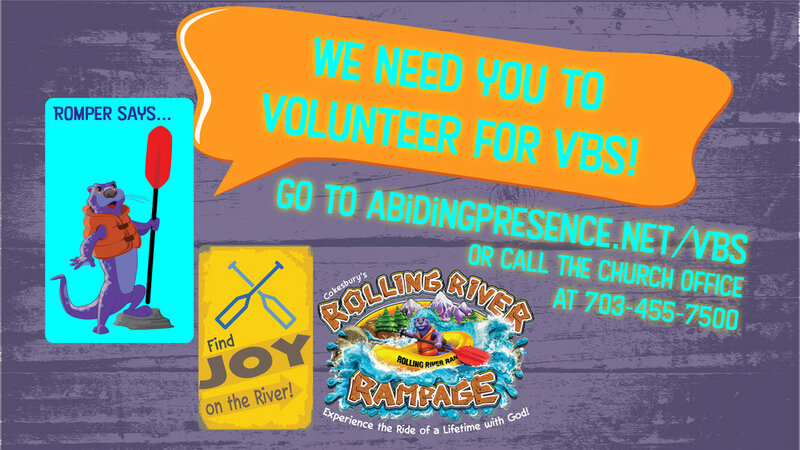 Help is still needed with Vacation Bible School from July 9-12 from 9:30 a.m. - 12:30 p.m. We are in need of both station leaders and crew leaders. Station leaders prepare a workshop that is visited by small groups of kids. Crew leaders lead small groups around to the various stations. Station leaders need to be adults. Crew leaders can be teens and/or adults. If you can help, please contact Children and Family Minister Sara Dyson.